Thanksgiving is all about giving thanks with and for family, friends and being able to break bread together. Thankfully, the food blogging community is all about those things too. To celebrate the holiday, Meghan from Cake ‘n Knife and Susannah from Feast + West are hosting Blogsgiving Dinner. There are more than 60 blogs sharing recipes for this excellent event! Click on the links above to see the Thanksgiving recipe round-up menu in two parts, in all its glory. The idea is based on an old-fashioned potluck dinner party. Each blogger is bringing a dish to the party, so be sure to stop by and get some ideas for your own Thanksgiving or Friendsgiving meal. We’ll be posting to social media with the hashtag #blogsgivingdinner. I'm bringing pear preserves to the party (because every meal should be looked at like a party, especially Thanksgiving). I am a die hard cranberry-sauce-from-the-can fan. I love the ridges, the gelatinous wiggle and jiggle on a platter or plate and my first, second and third helping plates are not complete without it. But not everyone feels the same way. I really have to disagree with these people, but it's not all about me all of the time, so enter pear preserves. My friend Gina called me up one day and asked if I wanted to help put up (or can) some fresh pears a neighbor dropped off. Until that day, I had never canned a thing. Daunted by all of the tools and possibility of making people sick with botulism, I never tried it. UNTIL NOW! If you're going to can a couple of times ahead, invest. 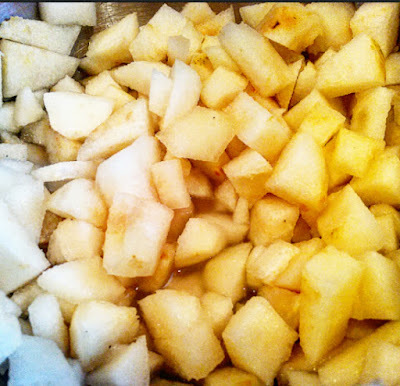 A pound of pears will yield 2 cups of sliced pears. Keep this in mind when you buy or pick your pears. 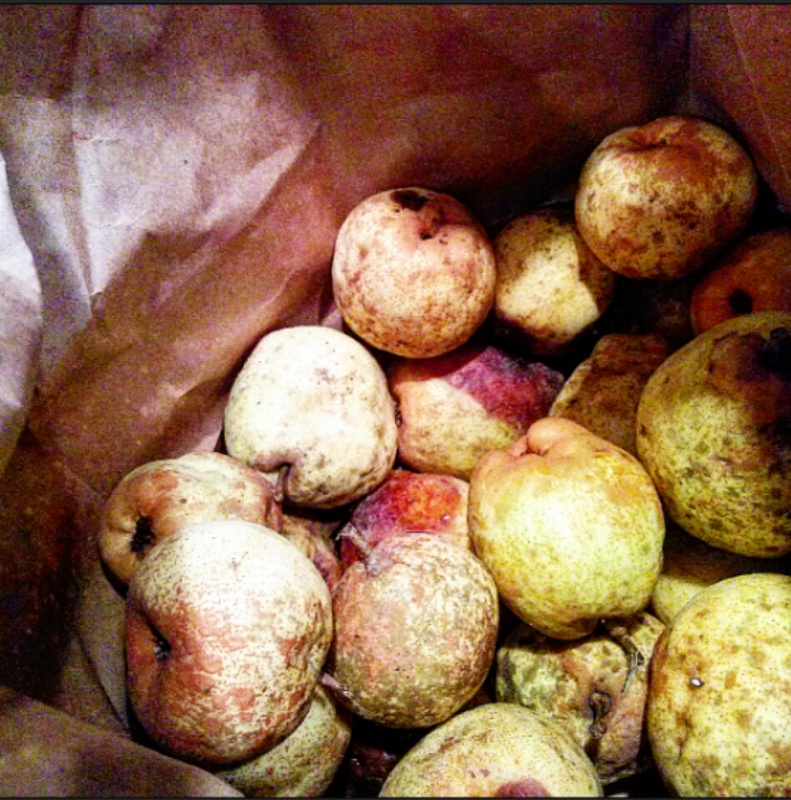 Pears ripen after you pick them, so if they're a little firm when you get them, that's okay! Store them in the refrigerator in a brown paper bag. 1. 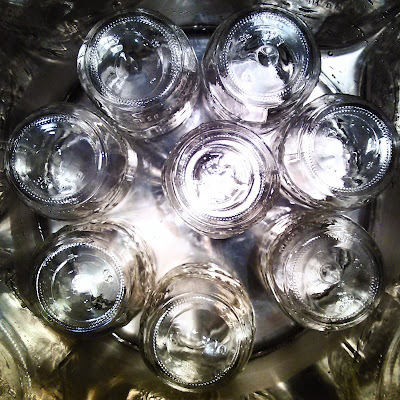 Sterilize jars and lids in boiling water for at least 10 minutes. Alternatively, use your automatic dishwasher on the shore cycle to do the same. 2. If using the large pot, let the water continue to simmer while making jam. Otherwise, bring water to boil, while making preserves. 3. In an additional large saucepan, combine pears, water, and lemon juice. Cover, and simmer for 10 minutes. 4. Stir in pectin, and bring to a full boil. Stir in the white sugar, and continue boiling and stirring uncovered for 1 minute, until sugar is dissolved and the mixture does not bubble up when stirred. 5. Remove from heat and quickly fill jars to within 1/2 inch of the top. 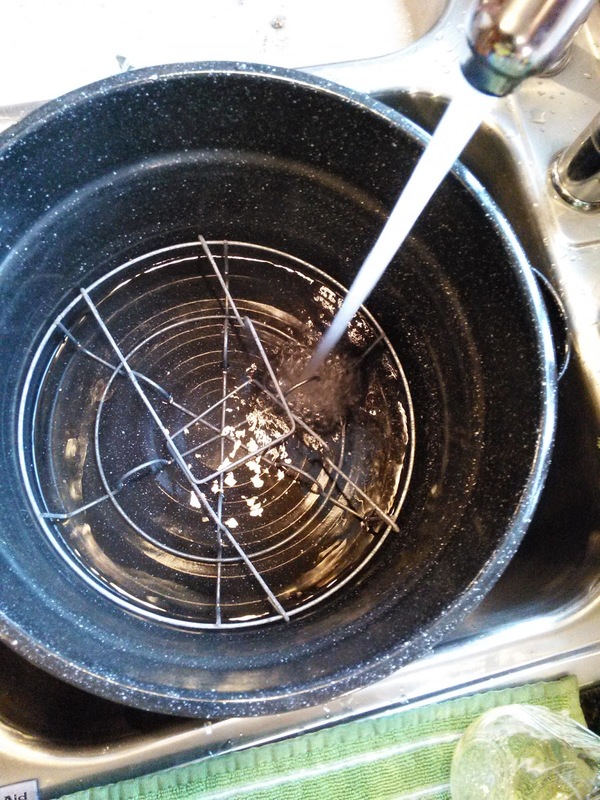 Wipe rims clean, and top with lids. Process jars in boiling water for 10 minutes to seal. I've never had pear preserves but I bet it's delicious. This just screams fall to me! It looks incredible! I make preserves on a regular basis but haven't tried pears yet other than pear butter. This sounds delicious! I looooove pears! This sounds really good. I use to can all the time and I miss it. Your photos and instructions are great! I love that you show pictures of each individual step! 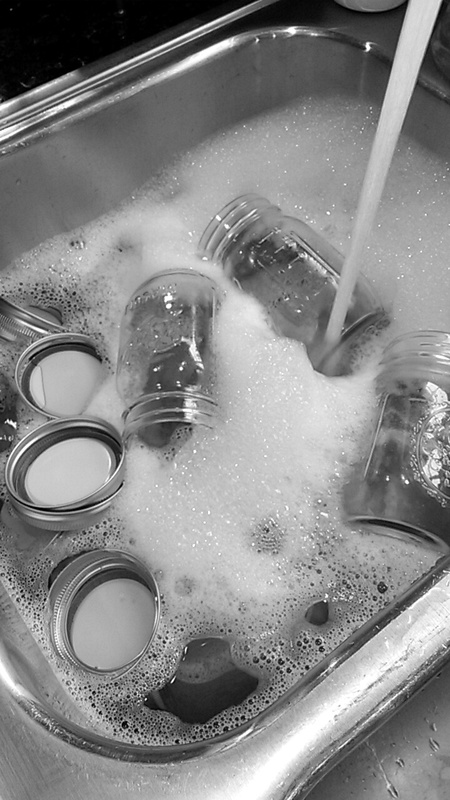 It's super helpful for folks like us who don't have a ton of experience canning. This looks fabulous! 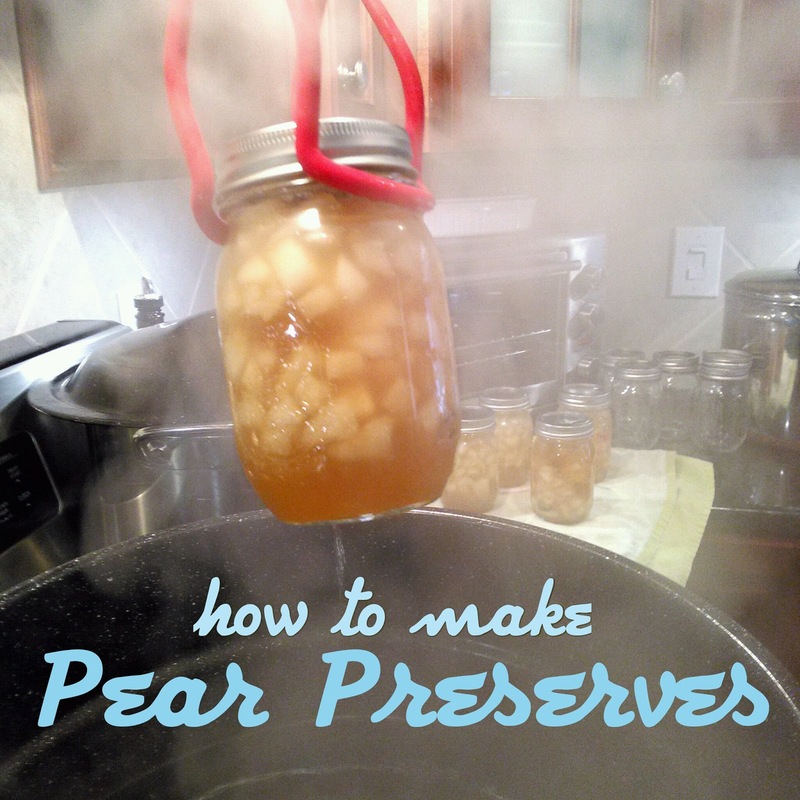 I love pears and never thought to try canning them. Going to have to try this. And how lucky you are to have foodie buddies nearby. I live in the sticks and there's no other bloggers anywhere near me. I wish I could hang out with other foodies to do things like this. So much fun. I LOVE canning! I used to do it all the time when I was a kid and it reminds me of my grandmother. 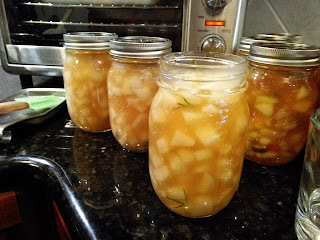 I love the idea of canning pears since I have never done that! The recipe is stated above, with step-by-step photos. Use the USDA link for a proper recipe with measurements.